Discover hidden treasures in long forgotten ruins, while fighting the evil Professor Bergen and his demented cronies! Do you have what it takes to successfully pass through dangerous traps and the brain-testing puzzles that will hinder your progress? 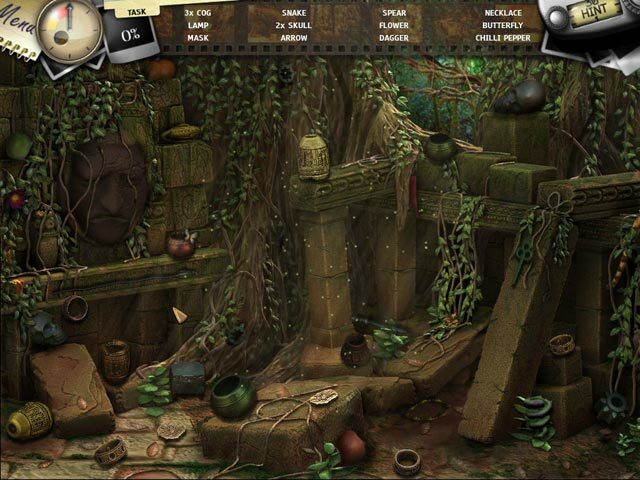 Find out in Jodie Drake and the World in Peril, an incredible Hidden Object game. 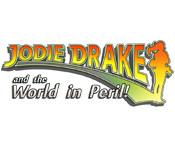 Jodie Drake and the World in Peril is rated 3.3 out of 5 by 19. Rated 5 out of 5 by Desertholly from Slightly different HO Game. My review title of "Slightly Different" refers to the 'take a picture of the hidden object' concept. Really liked it...nice change. The HO scenes are wonderful and the puzzles,while not very difficult, were enjoyable. If you want a break from Adventure type HO games, you should give this game a try A bit more dialogue than I prefer but you can skip it. Enjoyed the music. I gave the Storyline rating a good, because it was detailed, although maybe too much so. Rated 5 out of 5 by rainbowtree from Jodie Drake and the World in Peril Jodi is a travel photographer sent to exotic places to get those cover shots. She visits Paraguay, Egypt, Greece, India, China, and Easter Island. The objects are presented in either the traditional list format, or images to photograph. The mini-games offer a variety of mid-level challenges interspersed throughout the chapters. Storyline is interesting, but ending is predictable. Rated 5 out of 5 by Warlady1 from That was loads of fun I really enjoyed playing this game. Rated 5 out of 5 by Rudygeegee from Great Game! Awesome graphics, fun mini puzzles. Really enjoyed it. Rated 4 out of 5 by smilingsun72 from Grab your camera and prepare to travel the world in the different type of HO game! I've had this game a few years but never commented on it. I decided I would since I played through again. You are Jodie Drake, a travel magazine journalist/photographer. The story starts by sending you to Paraguay to be the first to take pictures of ruins just discovered. This lands you another assignment with a big time magazine, which sends you to exotic places. While you travel the world taking pictures you discover more than you bargained for. The story is intriguing. The graphics are crisp and the music good. The cut scenes are well done, The voice acting is good mixed with texts that have to be read. The puzzles are not overly. Once a scene is complete you move to the next, so there's no need for a map or traveling from scene to scene. The hint recharged fairly quickly. And the game has two options: Timed or Relaxed. So, mostly this game is a laid back type game. 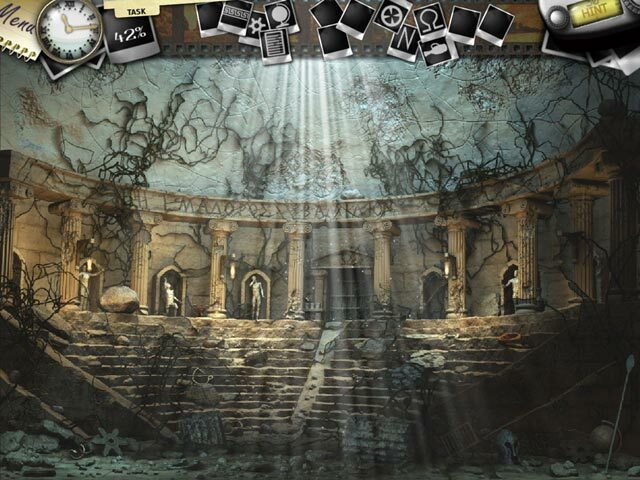 Rated 4 out of 5 by Menu7 from Not a bad game Finally, there's a hidden object game without murder and mayhem. I find this game refreshing because of the way the game unfolds...you take pictures of the hidden items and the items are at the top of the screen, sometimes in silhouette. At the end of each level, there are mini games which are not bad and it adds a welcomed variable to an otherwise straight and boring HOG. I'm happy that we don't have to collect tools for an inventory and I'm happy that I don't have to click around to figure out how to use the tools not knowing what I'm looking for. The story line could be better but it's okay. All in all, not a bad game. I would recommend. Rated 4 out of 5 by MEnr56 from SOME DAUNTING SCENES Personally, I very much liked this game because it was challenging; most of these games have the same old, same old storylines -- vampires, ghosts, lost relatives, archealogical mysteries, etc. but I particularly liked the fact that I was able to take on the mini-game tasks and actually successfully complete them WITHOUT skipping. Actually, the only mini-game that I skipped was the last one -- have NEVER been able to figure out how to ascertain the proper steps to click on 1 thing and it move 2-3 other things-type puzzles. I also have to admit that I DID use the hint button on the last chamber map to escape as you LITERALLY only are given seconds to run through said maze to successfully exit it. Yes, there were some screens that were somewhat daunting (ESPECIALLY since I was playing the timed version) but using the hint button helped. One of the key points for me was to peruse the pictures of objects to find BUT to look at the scene(s) and pick up items that I figured were actually in the above-mentioned silhouette pictures. It made it FAR EASIER to seek and find the hidden objects doing it that way (especially since I played the timed version) than to try to actually picture the object in my mind as to what was needed to be sought and found. All in all, a very nice game; thought I bought it today as a DD, I think that this game is even worth the full price. Rated 4 out of 5 by genhunter from For some kinds of HO fans, Yes! Underrated? From the free trial..... Scintillating characters, no. Deep plot line, no. But I have found myself really enjoying it, and I was surprisingly engrossed. The clues are *subtle*. Not hidden in dark corners, or buried in lousy graphics. Just very subtle. Minigames, ditto. I may actually have to buy this one to have the time to hunt and enjoy, without trying to rush through a trial to see what's what! Rated 4 out of 5 by BabyWombat from A Different take on HOG This is a review of the demo. Jodie Drake is a travel photographer and you travel around the world loking for interesting photos. The different take on an HOG is achieved through the use of a photographic approach to hidden object scenes. It gives a purpose to searching for random objects. The graphics are good but not great. The cutscenes have VO but not in the game itself - annoying when lips move and no sound, you can skip through the text quickly. There are several levels to each stage comprising the HOS and puzzles. The HOS consist of silhouettes, missing pieces or a straight list of objects. The puzzle scenes are interesting (labyrinth, connecting pipes, jigsaws etc) but are not that challenging. There are a choice of modes - timed play or relaxed. There are unlimited hints but it takes 30 seconds to refresh. Sound FX are good and music is not annoying. Overall I recommend this game, if like to find different ways to approach HOGs. 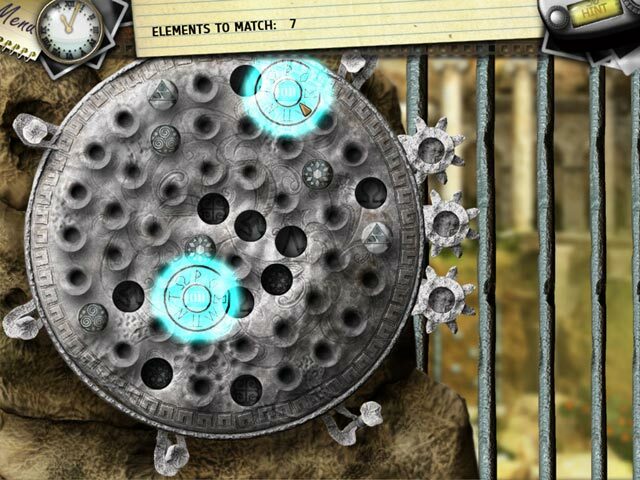 Help Jodi discover hidden treasures in long forgotten ruins, while fighting the evil professor Bergen and his cronies!